While some meteorologists have discussed the existence of a long-term activity cycle for the North Atlantic, not many have put an eye on the Western Pacific. Therefore, I have analysed the data of historic typhoon seasons from 1945 to 2018, and discovered that there is likely to be a cycle of rising and dropping activity in the WPac once every 30-40 years. 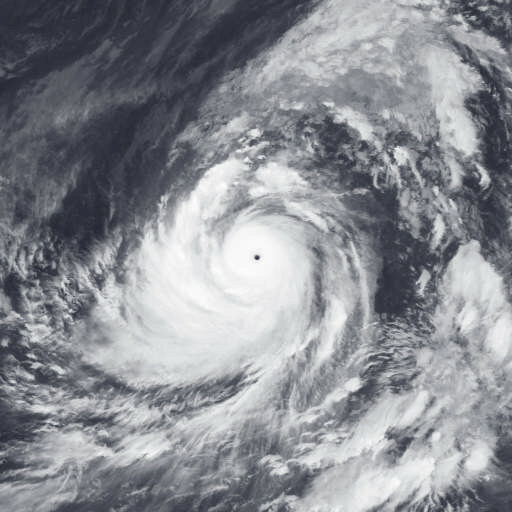 From the 1945 to the 1960s, there was a notable rising cycle in both the number of tropical storms and typhoons. In the 1970s the early 1980s, tropical activity has lessened. Starting from mid-1980s to 1997, we have seen another active phrase for the basin. Meanwhile, from the late 1990s to 2011, there was a period of low tropical activity. From 2012 onward, tropical activity in WPac seems to have picked up again. This may indicate that Wpac activity may eventually peak in the 2020s. This is the database I have compiled by myself. All the data are based on JTWC best-track. Note: It is highly probable that some data are missing for the seasons before the 1960s. Last edited by TyphoonNara on Sat Feb 16, 2019 2:37 am, edited 7 times in total. Good stuff, hopefully more will comment. I think there's a lot of these cycles that have yet to be studied in depth. I am pretty sure that the West Pacific has active phase and less active phase like the North Atlantic. Ptarmigan wrote: I am pretty sure that the West Pacific has active phase and less active phase like the North Atlantic. It is clear that there is a cycle. However, it seems that there is a general decrease in the number of tropical storms and typhoons over these 50 years. The peaks and troughs of each cycle are getting lower and lower. It's scary. Every doomsday scenario predicted for the other basins to happen in decades from now...The WPAC is already there. Wpac living the future. euro6208 wrote: It's scary. Every doomsday scenario predicted for the other basins to happen in decades from now...The WPAC is already there. Wpac living the future. I have read some papers about how climate change will lead to changes in global tropical cyclone activity. In these papers, counterintuitively, there is a common consensus that tropical activity will decrease globally, with the greatest decline lead by WPac and SPac. Activity in the Indian Ocean will remain steady, while activity in NAtl and Epac will increase. It is also worth noting that CPac activity will skyrocket in the predicted future. It is mentioned in one of the papers that the average ACE of EPac+CPac will exceed that of the WPac in around 2100. I think the general decreasing trend of activity in the WPac somewhat affirms with what these various papers have predicted. In the 1960s and 1970s, we were seeing an average 30 tropcial storms and over 20 typhoons per year (even in the less active years). From 2000s to 2010s, WPac was generally performing badly (with less than 20 tropical storms and 10 typhoons in some years). In addition, the insane Epac and CPac activity starting from 2010s (esp in 2018 and 2015) also aligns with the predictions. It is scary and sad to see the climate change scenario is happening. Would you possibly have some links you could provide to those articles? I would like to read the research you mention if possible. It sounds really interesting. Thanks so much! I'll try to read through some of these this evening and hopefully I'll be back with some thoughts later. I think this is an interesting topic of discussion, especially in regards to global TC activity as a whole. I think reliable records on tropical activity provide such a small sample size when compared to how long tropical activity has been occurring on this planet that we still have so far to go in truly understanding the climate cycle for this planet in regards to tropical activity. It is very true that more study has to be conducted into different factors affecting the long-term changes in global TC activity. Even though global warming may have contributed to the change, it is still very probable that other factors, such as ocean currents and atmospheric circulations, have played their parts as well. It would be nice to have typhoon data that stretches back to at least to the 19th century. Atlantic data goes back to 1851. I think this would be quite difficult, considering WPAC only has complete data since 1970s. Why would 'AGW' decrease TC activity in the WPAC yet other basins are 'predicted' to increase in TC activity? Hayabusa wrote: Why would 'AGW' decrease TC activity in the WPAC yet other basins are 'predicted' to increase in TC activity? It is predicted by various computer models that activity in WPAC and SPAC will decrease, while activity in other basins, especially EPAC and ATL will increase. Even though sea surface temperatures of all the basins are predicted to increase due to AGW, increases in shear due to changes in atmospheric circulation in WPAC and SPAC will offset the effects of the increasing heat potential from the ocean. Meanwhile, shear is expected to decrease in EPAC and CPAC for similar reasons. Please keep in mind in the 1960's, records in terms of intensity at the very least are highly suspect. Numbers in the 2018 and 2019 season are finalized and updated respectively. Pabuk is counted as the first storm in 2019. We my see an active season ahead of us due to the developing El-Nino.